To be an eater of catfish is, for many, to identify yourself firmly with the southern half of this country: Okie noodlers, Cajun jug fishermen, Tennessee trot liners – wizened old black men sitting motionless on the banks of urban rivers, staring intently at the end of their rod. Waiting. Here in California, catfishing is largely associated with the state’s Southeast Asians, a group that has its own cultural baggage. All this is, of course, a generalization. Thanks to the herculean efforts of outfits like the Catfish Institute, which oversees the nation’s catfish farming industry, farmed fillets of Ictalurus punctatus, the common channel catfish, appear in supermarkets across the land. A whole new generation of piscivores happily munch their fried catfish without so much as a thought to matters of race and class. But the old bigotry does not die so easily. It was with these thoughts churning in my head that I found myself driving north along Highway 99 at dawn in high summer. I was heading to the town of Colusa, to meet a man named Jay Dee Garr. Jay Dee had had the temerity to offer a catfishing trip as an item in a recent Ducks Unlimited auction. Catfishing? In California, land of trout and salmon? I looked at the auction sheet: Only one other person had bid on it, at a half-hearted $50. I bid $120, just to put some distance between myself and any competition. The Orvis Boys often would cite catfish’s homely appearance and its chosen places of residence as reasons why cats were unfit to eat. Yeah, they are ugly. Slimy, too. And a catfish river is rarely as lovely as a trout stream. But this sort of criticism is just aesthetics, a petty rationalization. 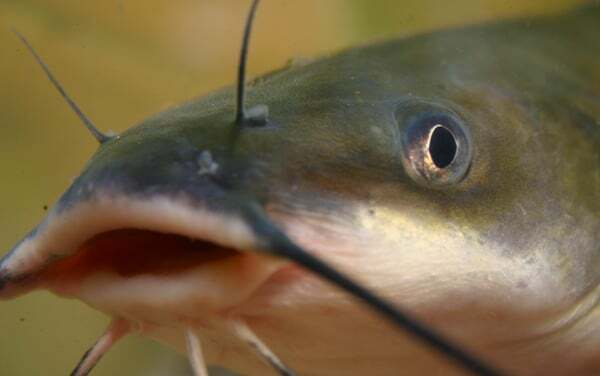 More serious is the charge that catfish are somehow more polluted than other fish. Disgusting bottom feeders. At least in California, this is simply not true: Catfish are placed in the “good” or “moderate” category in 14 of the 23 state fish consumption advisories that mention them. Are they pristine? Nope. But sexier fish such as stripers, largemouth bass and sturgeon are universally higher in pollutants than cats. Dawn rose on the road, and verdant rice fields shook off their layer of ground fog to greet the day. Egrets of all sizes prowled the fields, a flash of snow in a green expanse so unnatural for the arid Central Valley. Tired little townlets passed by, places that live or die by the rhythms of agriculture. Places that have remained largely unchanged for a century. A road sign welcomed me to Yuba City while The Who’s “Teenage Wasteland” blared on the radio. Fitting. Fitting, too, that catfish would be so widely caught in this part of California. The Central Valley is the hot, dry working class heart of the nation’s most populous state. It is where Okie migrants came to rebuild after their farms blew away in the Dust Bowl; hearing a twinge of twang in people’s voices here is not uncommon. Ironically, the catfish arrived with the Okies. 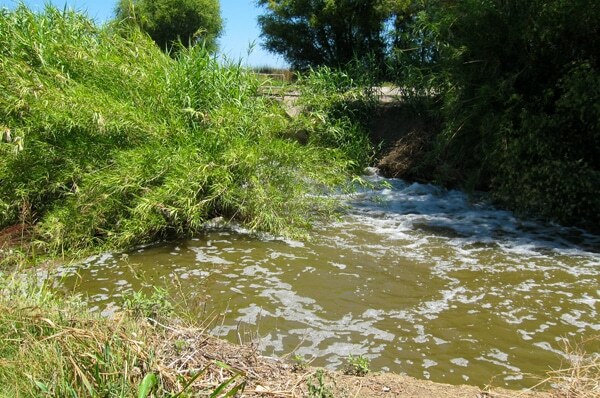 In 1891, well-intentioned fish planters dumped 250 channel catfish into the Feather River at Gridley, just a few miles from where I was supposed to meet Jay Dee. All those fish died. It was not until 1942, when a hatchery foreman positively identified a channel cat caught in a research net, that the species was confirmed to live in the Valley. This was less than a decade after the wave of Oklahoma migrants first arrived. Had they brought their fish with them? Probably not, but the coincidence interests me. I rolled into Colusa early. People were just beginning to move about. The town felt like Mayberry from the “Andy Griffith Show”: Big trees, old storefronts, pretty churches. Jay Dee Garr lives on the edge of town, at the end of a quiet street. A high levee protects his home from the Sacramento River, which lies just on the other side. Jay Dee himself is an overcarbonated beer in a bottle about to burst. He is one of those ageless impresarios whose personality barely fits within his physical stature. At 74, Jay Dee has been around the block more than a few times: He’s been a schoolteacher, a soldier, a rice farmer and a biologist for Ducks Unlimited. He’s caught more fish, shot more ducks, and cooked more game than most men still living. Jay Dee is also an eater of rabbits and pigeons and carp – and of catfish. He is a kindred spirit. Rice is king in the Sacramento Valley; only Arkansas grows more rice than California. And rice needs water, so a spiderweb of canals, sloughs, natural streams, minor rivers and irrigation ditches spreads across the valley. Where that water runs, channel catfish lurk. We pull up to a canal where a giant irrigation pipe dumps the outflow from a nearby rice field. Time to rig up. Jay Dee prefers a simple rig for catching cats: Slip sinker, barrel swivel, a long leader, a small hook. “We got golden shiners or crawfish tails. Take your pick.” He chooses the shiners, I pick the crawfish tails. Catfishing is all about patience, and placement. In swift water, channel cats like to hang out in eddies and holes, away from the main rush of the current. In slower water, they will move about a bit more. Plunk! Our sinkers slap the water and descend to the murky bottom. Now we wait. Jay Dee has an endless stream of stories piled up from seven decades as an outdoorsman. I’ve heard many similar tales from similar men over the years, but very few share Jay Dee’s dedication to place. Other than a few years in the Army, he has lived his entire life in Colusa: More than 70 years spent observing the natural world in one spot. I am a nomad by nature, so this boggles my comprehension. Needless to say I take any advice he gives me about presentation, bait and exactly where to cast my line. “Don’t cast there,” he points to an unremarkable patch of brown water. “There’s a ledge that will snag you.” Good to know. Fishing is slow. Nothing here. A bite there. No fish. Then we roll up to a stream with a little waterfall. “Lurline Creek,” Jay Dee says. He tells me to cast my bait below the waterfall so it will circle back with the current and come to rest directly underneath the fronds of an arundo, a giant reed. “There ought to be a catfish right there,” he said. He was right. Tink! Tink-tink! A bite! The moment that thought registered in my head, the fish struck hard and ran downstream with the bait. Finally, a decent fish. My immediate concern was to make sure it did not get itself wrapped around the fronds of the reeds. I use powerful braided line on my reel for just such an occasion; it allows me to control a fish without worrying that the line might snap. 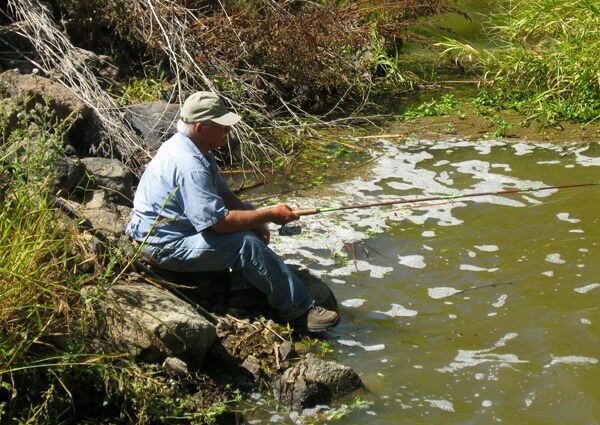 Jay Dee clambered down the bank with the net just as I brought the catfish to the shore. With a swift scoop, the cat was in the net. A nice one, too. Maybe five pounds. Jay Dee handed me the net. “I don’t carry your fish,” he said. Well OK then. Minutes later, Jay Dee had his own fish on the line, and our roles reversed. I handed the net to him, fish wriggling inside. I said nothing, but we both smiled. We moved on. Hours passed, and the temperature sailed past 94 degrees. No more bites. After a while, we ran out of stories and fished in silence. The air was still. A barely perceptible buzz of bees and flies grounded the soundtrack of rice country. The songs of kingfishers and crows and various tweety birds gave us a melody, the burbling stream a harmony. Heat mirages shimmered in the distance. Clouds of dragonflies cruised around our heads. One landed on the end of my rod, looked at me for a long moment, then flew off. I asked Jay Dee why he thought some people didn’t like catfish. “That’s their problem,” he said. As a Texan, I just love catfish… I’ll be firing up your blackened recipe soon! mmmm…. 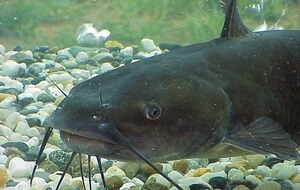 I’m an Ozark boy and love catfish! I have a question about another southern delicacy for you – Do you ever do anything with crawdads?